Allcargo Logistics Limited can be considered as one of the latest Multibagger stock for 2020 . It is an integrated multinational logistics company having its headquarter in Mumbai. 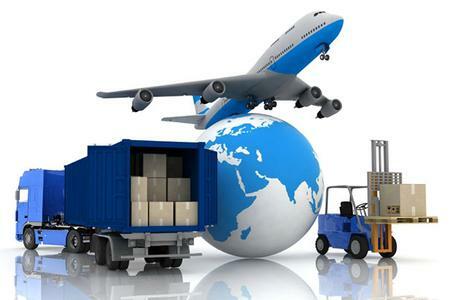 Company is a part of ‘Avvashya Group’, the leading integrated logistics solutions provider in India. Mr. Shashi Kiran Shetty founded Allcargo Logistics as a cargo handling operator at Mumbai port in the year 1993. Involves Non Vessel Owning Common Carrier (‘NVOCC’) operations forwarding activities in India and across the world through overseas subsidiaries of Ecu Worldwide. The Volumes in this model continue to grow at a stable pace for ALL in the MTO segment despite weak global trade environment primarily due to less than Container Load (LCL) nature of business which is more immune to slowdown. This business model includes the handling of import/export cargo, customs clearance and other related ancillary services. Performance of the CFS division expected to improve Performance of the CFS segment was not healthy for the company in H1FY18 with weak Exim trade, competition and negative impact of Direct Port Delivery (DPD) mechanism. However, the Company has gained market share and outperformed other players in the segment because of its strong relationship with shipping lines, vast experience in logistics business and presence in other verticals (like MTO). Going forward, we expect the performance of the CFS segment to improve with the fourth container terminal set to start operations from 15th January, 2018, expected recovery in trade and contribution from the new CFS at Mundra and Kolkata which have started contributing to the volumes. PES or P&E segment means operating the project logistics, equipment leasing and coastal shipping. Company’s crane services are certified with best-in-class global safety standards such as ISO 9001:2008, OHSAS 18001:2007 and LEEA Certification (UK accreditation). The PES division continues to report volatility in revenue and profitability and the trend may continue till FY20 and be a drag on overall profitability of the company. Management has started selling low yielding assets in the PES division, which should bring down the negative impact of the division on the overall financial performance of the company. – Normal contract logistics is also poised to grow substantially post implementation of the Goods and Service Tax. This segment of the Company will highly benefited out the introduction of GST in India. It is the only Indian Company with significant presence across the country’s all three major container ports. Company is further consolidating its position with the opening of a new CFS at Kolkata – the East coast of India. Government plans to cut logistics costs from the current 14-15% of GDP to 9-10%, through a modal shift towards water and railway and efficiency improvement, the sector is all set to experience a positive growth trajectory. Company is setting up a Logistic Park at Jhajjar, Haryana and is in the process of completing all regulatory requirements for this project. Management focus is to turn Allcargo into a $2-billion global leader by 2020. 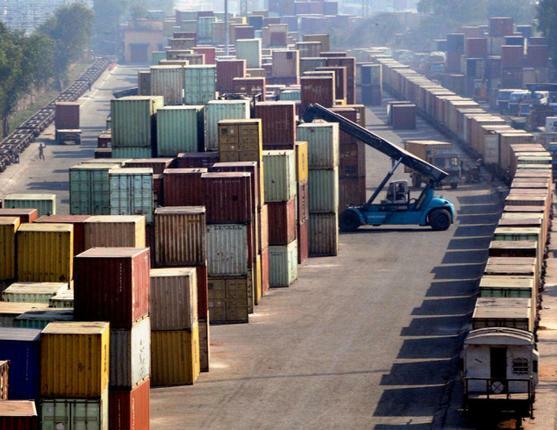 Container volume in India is expected to be 2x by 2020, driven by EXIM trade. Company will also invest around Rs 1,000 crore to double its exim warehousing/ CFS stations and logistics park capacity to 10 million sqft from about 2 million sq ft, spread across 15-20 cities by 2020. Company is planning an aggressive domestic play by entering the last-mile delivery space and has set a target of taking its domestic revenue at Rs. 1,500 crore from the segment by 2020.